I am so pleased to be sharing another awesome new children's book! 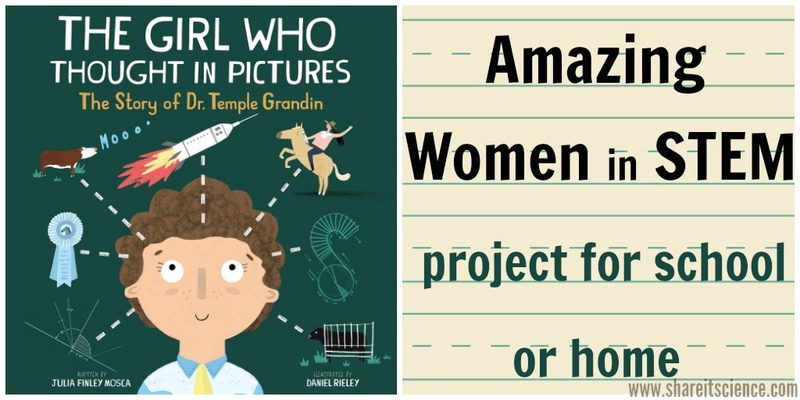 The Girl Who Thought in Pictures: The Story of Dr. Temple Grandin is a wonderful picture book describing the childhood of the world renowned animal scientist and speaker, Temple Grandin, and how she overcame being different to become a successful scientist and writer. 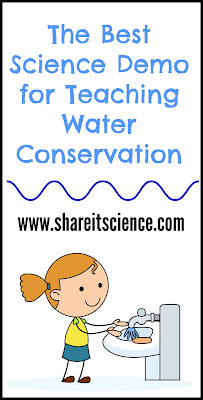 It is one of two picture books in the new Amazing Scientists book series. 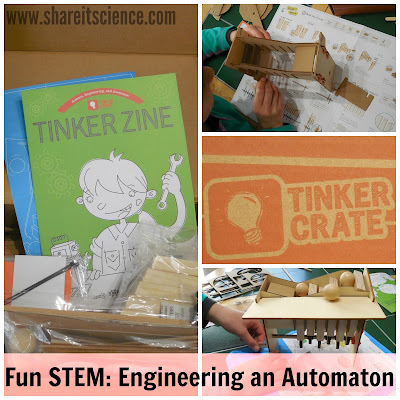 In addition to sharing this new book with you, I have included a free "Amazing Women in STEM Research" printable that will be perfect for science and language arts projects in the elementary classroom or with the kids at home. 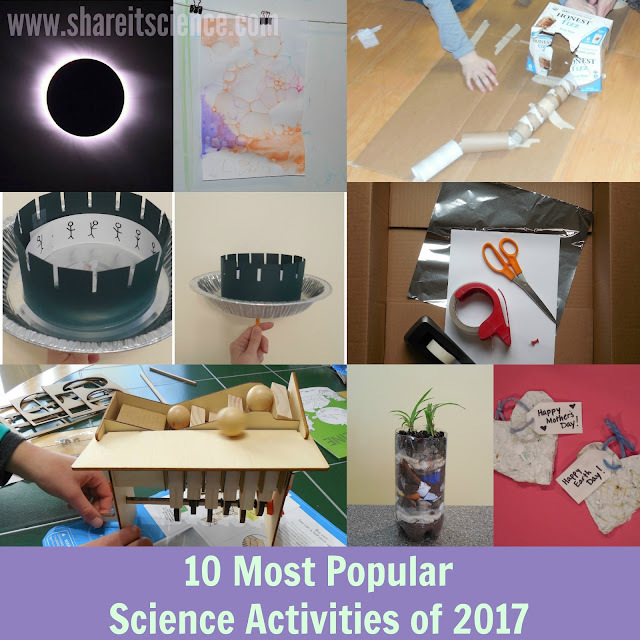 To get you started on your project, also included in this post is a list of inspiring women in STEM with accompanying children's book suggestions. I was very excited to receive my review copy of The Girl Who Thought in Pictures . I love so many things about this book! I love that The Girl Who Thought in Pictures is written in rhyming text, it makes for a lovely read aloud. The illustrations and the way the text is laid out is visually appealing to children as well. The book does an excellent job of describing some tough topics, Dr. Grandin's childhood, her autism diagnosis and how through it all she found things she loved and ways to become successful. 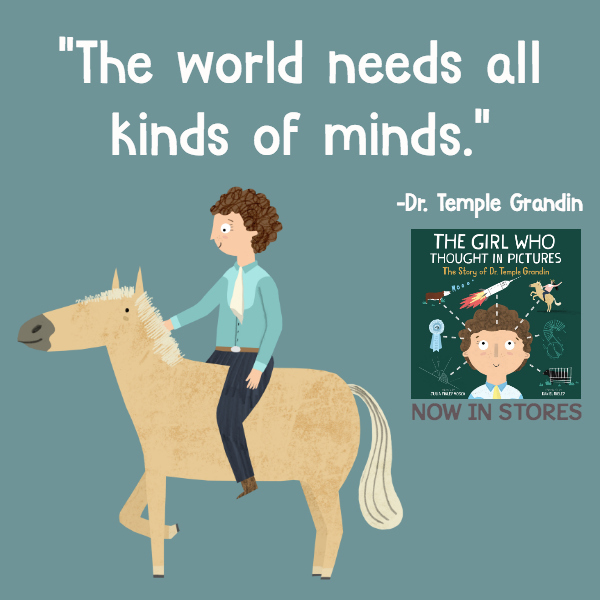 I think it is so important for children to find relatable role models in the sciences and The Girl Who Thought in Pictures does such a great job of illustrating Temple Grandin's signature quotes: "Different, not less." and "The world needs all kinds of minds." I think that all kids most likely experience feeling like they don't fit in at some point in their life, and it is wonderful for them to hear the message that even when you are different, you are needed, you can find supportive people, you can learn what works for you, and you can find success. As well as a great read-aloud story, the book includes a timeline of Temple Grandin's life, a letter from Temple Grandin, highlights from an interview and detailed biographical information. 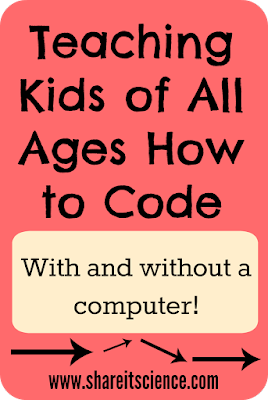 It could definitely be used as a resource in an elementary biography or research project. I also love that this is just one of two books depicting a strong female role model in the sciences. The second book in the new Amazing Scientists book series is The Doctor with an Eye for Eyes: The Story of Dr. Patricia Bath, a groundbreaking ophthalmologist. I'm excited to see future additions to this book series! 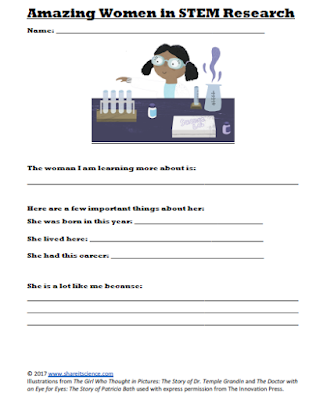 Use this free 2-page "Amazing Women in STEM Research" printable to get your students or kids at home started on a research or biography project featuring a notable women in a STEM field. The list of women and related children's books below will have you well on your way. 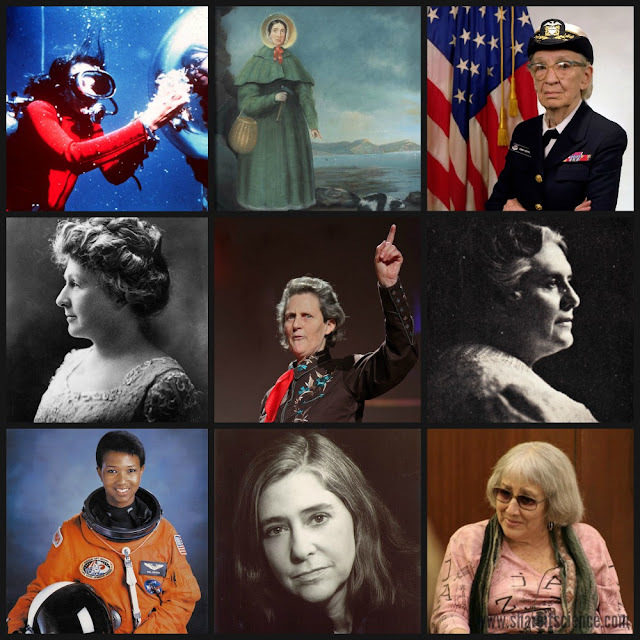 In addition to Temple Grandin and Patricia Bath, the following is a list of female scientists, mathematicians, computer coders, and engineers. No doubt you'll know some of these names, but others will most likely be new. They are all fascinating people! Accompanying each woman is a list of children's books about them. An English fossil hunter and paleontologist, discovered a fantastic source of sea fossils from the Jurassic period. The first woman to receive a medical degree in the United States, and an advocate for future female doctors. An American astronomer whose work cataloguing the stars led to the system of modern stellar classification. Marine biologist, conservationist and writer, her influential book Silent Spring waned of the use of chemicals like DDT on the environment. American ichthyologist known as "The Shark Lady", increased our knowledge of sharks and other fish, as well as worked to improve shark's negative reputation. American conservationist, teacher and artist, was a pioneer in the nature study movement. Polish physicist and chemist who completed pioneering work in the field of radioactivity with her husband, Pierre. Won Nobel prizes in Chemistry and Physics. American marine biologist, explorer, author, lecturer and National Geographic explorer-in-residence. Molecular biologist who was responsible for much of the research and understanding of the structure of DNA, despite the findings being published by James Watson and Francis Crick first. British primatologist, the world's leading expert on chimpanzees, ethologist, anthropologist and UN Messenger of Peace. Also the founder of the Jane Goodall Institute and the Roots and Shoots program. American computer scientist and systems engineer. As Director of the Software Engineering Division of the MIT Instrumentation Laboratory she helped develop software for the Apollo space missions. Pioneer of computer programming, a computer scientist and United States Navy admiral. NASA astronaut, engineer and physician. The first African-American woman to travel in space. African-American mathematician, or human calculator, who was critical to early NASA missions, such as Project Mercury and Apollo 11. Called the "most famous 19th-century inventor" known for the flat-bottomed paper bag. American astronomer who discovered relationship between the luminosity and the period of Cepheid variable stars. Although she didn't get much credit during her lifetime for her discovery, it helped future astronomers measure the distance between Earth and other galaxies. English mathematician and writer, known for being the first "computer programmer" as she created the first algorithm intended to be carried out by the first proposed computer. World renowned elephant expert, instructor at Stanford University Medical School, scientific consultant, author and co-founder of Utopia Scientific. German naturalist, entomologist and scientific illustrator. American physicist and astronaut, the first American woman in space! American geologist and cartographer, who along with Bruce Hezeen, completed the first scientific map of the entire ocean floor. You may not be aware of this, but when you purchase a book published by The Innovation Press, like The Girl Who Thought in Pictures, you are not only getting a great book for the children in your life, but also helping others. For every 10 books sold, The Innovation Press donates one book to First Book, getting books into the hands of kids and schools in need. Some science concepts can be seem pretty big and difficult to grasp. 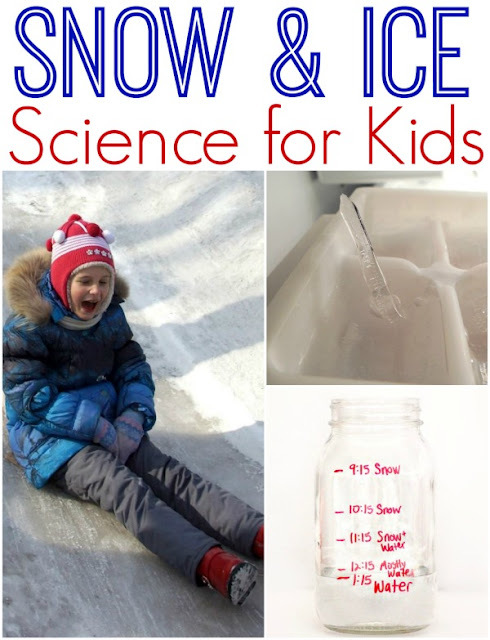 Gravity and other forces that we cannot see can be tricky, particularly for elementary aged children. 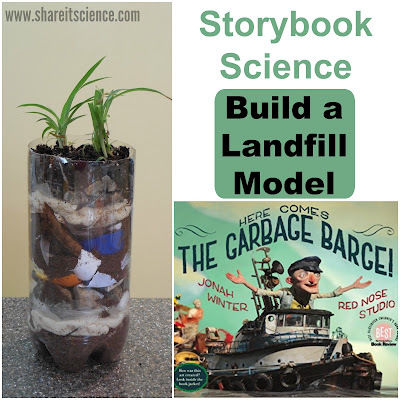 I love teaching with picture books, so the Let's-Read-And-Find-Out Science® Series has always been one of my favorites. 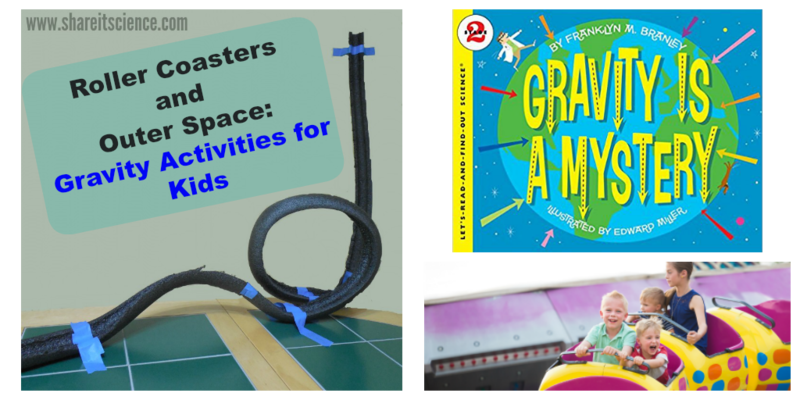 Gravity is a Mystery by Franklyn M. Branley is a great example of one of these kid-friendly science books. 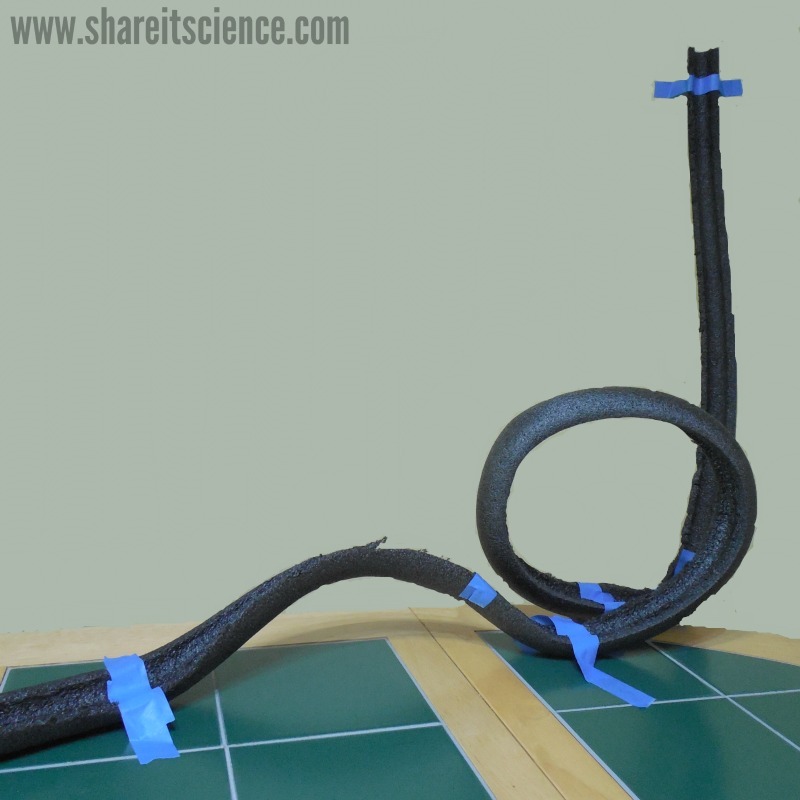 In this post we'll explore Gravity is a Mystery and the concept of gravity with a hands-on science and engineering investigation: marble roller coasters. 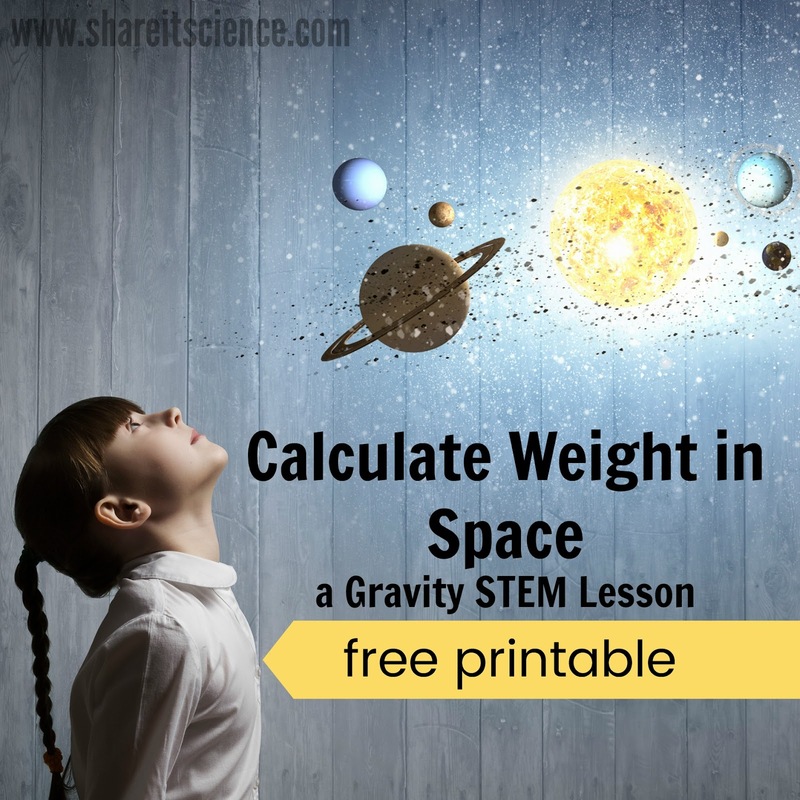 You'll also find a free printable "Weight in Outer Space" worksheet and a list of further resources for teaching and learning about gravity. 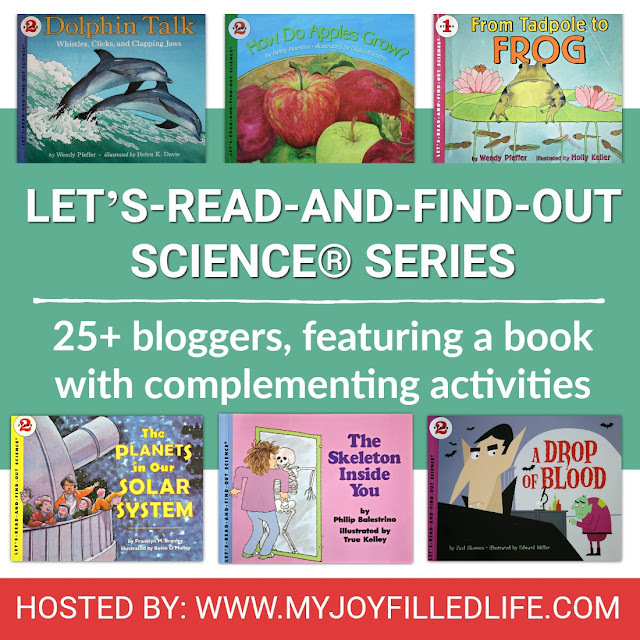 This post is part of the Let's-Read-And-Find-Out Science® Series hosted by My Joy-Filled Life blog. If you haven't read a Let's-Read-And-Find-Out Science book before, you are missing out. 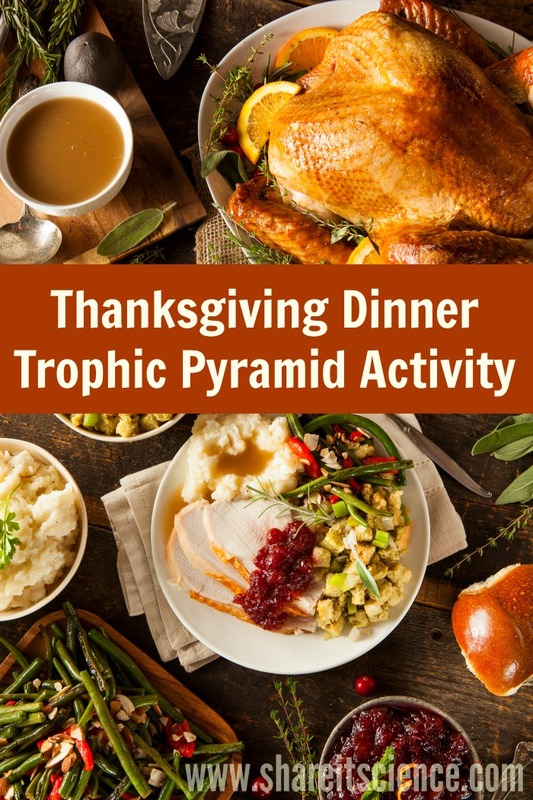 Written by many authors well versed in the fields of science and science for kids, they are books that are written in kid-friendly language, have engaging illustrations, and often include activity ideas and background information. The books come in 2 stages, stage 1 stories are books about simple concepts appropriate for preschool and kindergarten, stage 2 books explore more difficult concepts for elementary aged kids. Gravity is a Mystery is a stage 2 book. In it, a scientist and his dog explore the mysterious force of gravity. It answers interesting questions like: What would happen if you dug a hole through the center of the Earth and jumped in? How does gravity pull on you and other objects? How does gravity work? What does weight have to do with gravity? Why do we weigh different amounts on different planets? 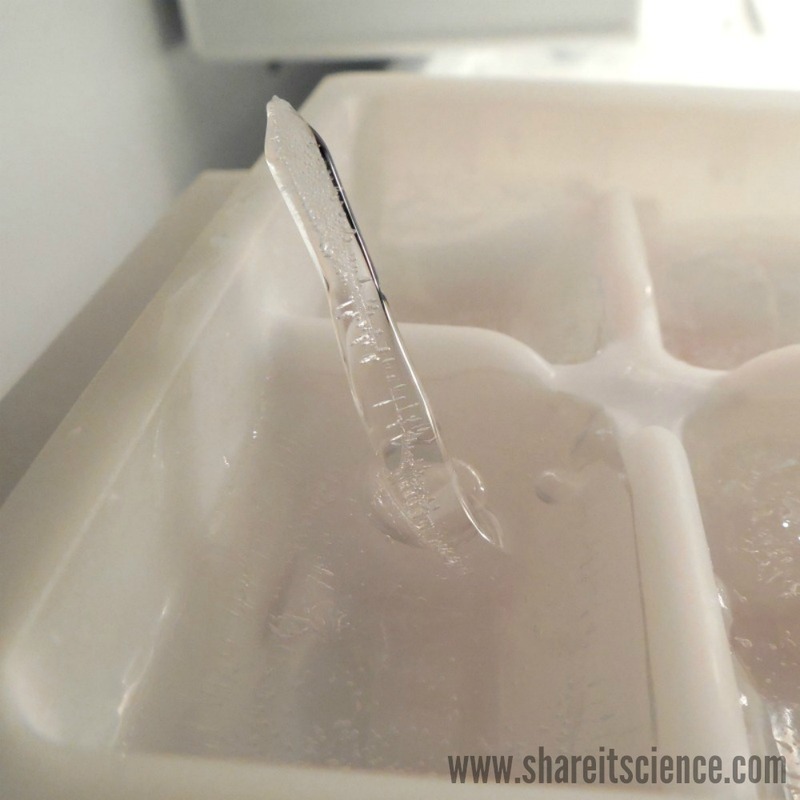 Gravity is a Mystery is an excellent launching point for science activities about gravity. Read on to learn how to build a marble roller coaster and calculate your weight on other planets. If you are looking for even more activities about gravity and forces, check out these gravity lesson ideas. 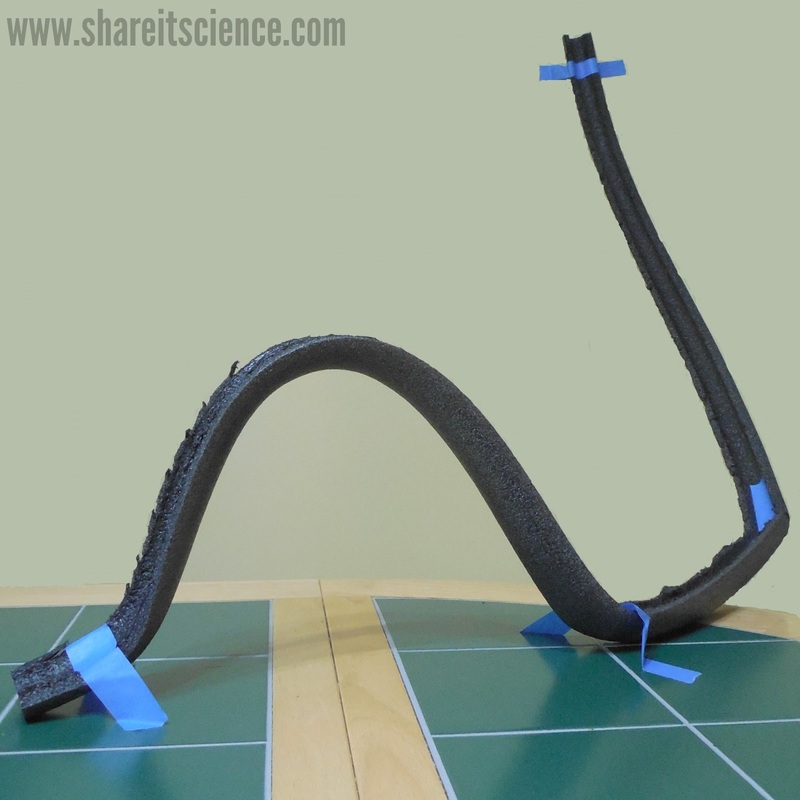 Building and designing marble roller coasters is an engaging STEM activity for just about any age. 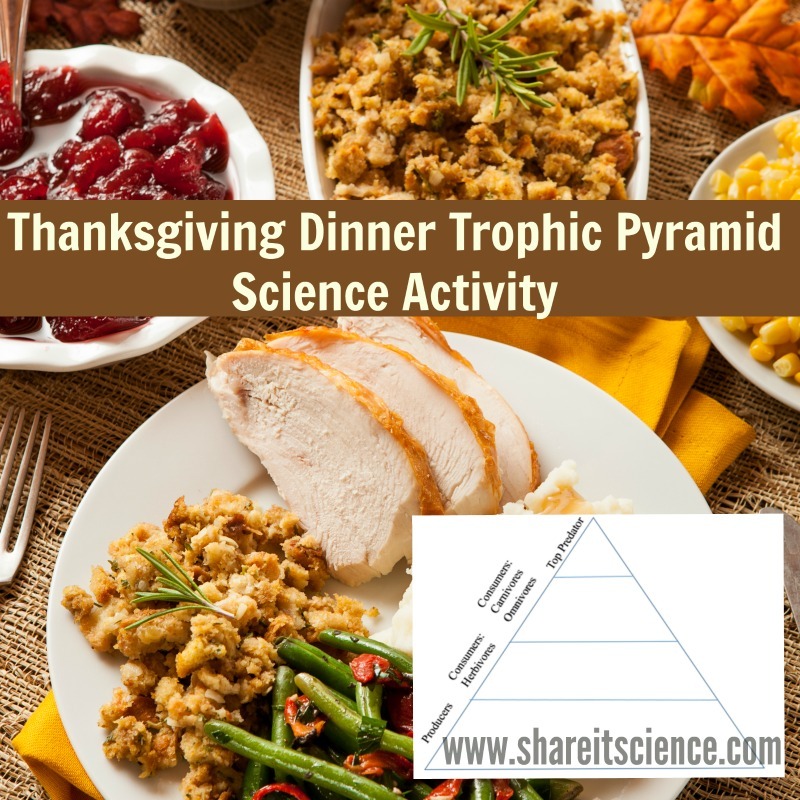 I have done this activity in the classroom and during family science night programs and it is always a hit with kids and adults. What do roller coasters have to do with gravity? Once a roller coaster is pulled up the "lift hill" by a motor and released, the rest of the ride is controlled by the force of gravity, and inertia, or the tendency of a moving object to maintain its forward velocity. Thanks to gravity and inertia, a roller coaster can stay on its tracks as it spins and flips. 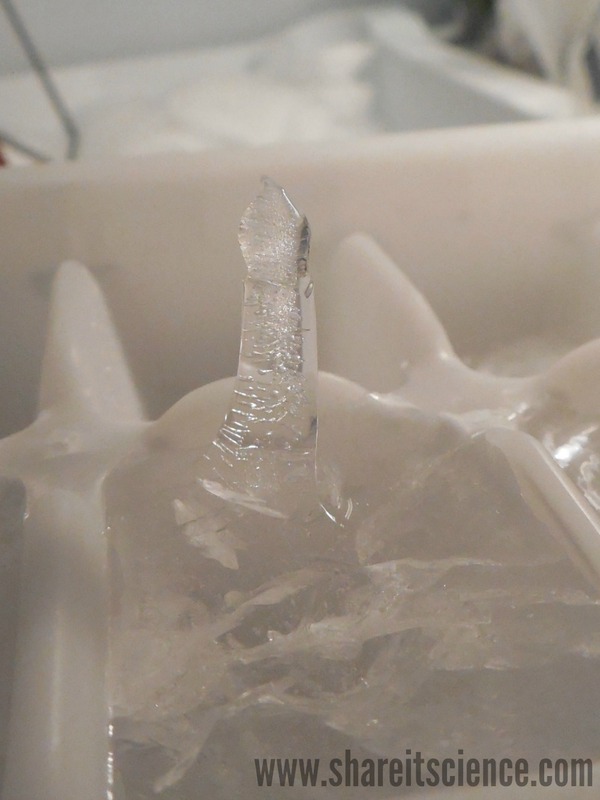 First, you'll need to prepare the foam insulation. 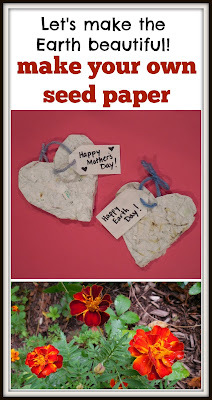 Although you can build roller coasters out of many different types of material, I like this way best. 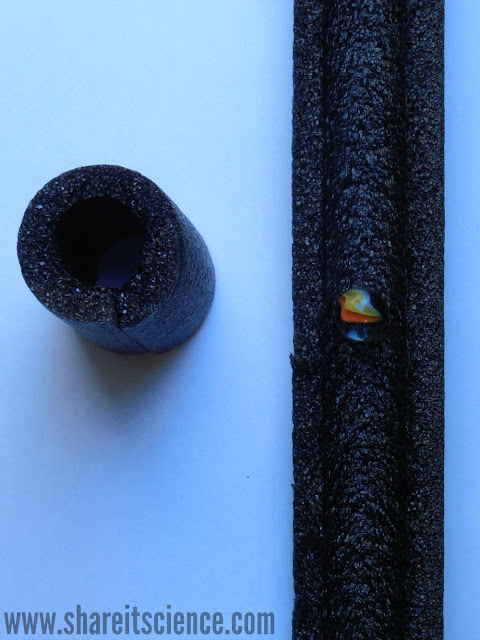 Use the utility knife to carefully slice down the solid side of the pipe insulation. 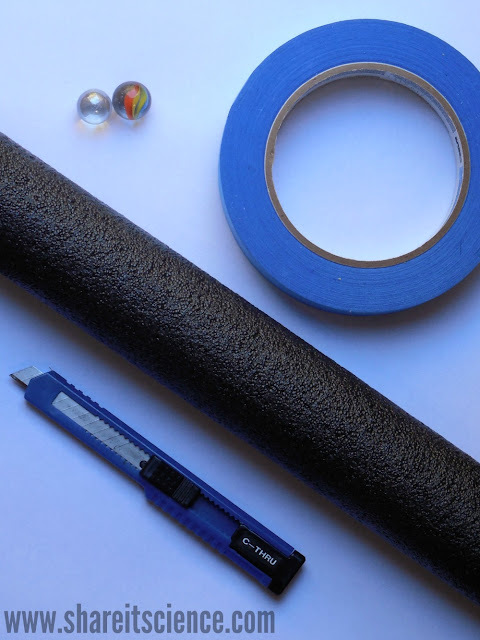 The foam is flexible and can be used over and over again. 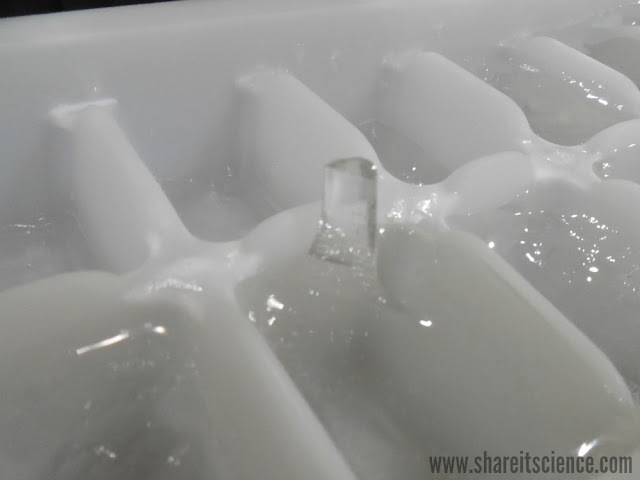 It is already split down one side to fit around the pipe, so by simply slicing down the opposite side, you can make 2 troughs that a marble fits perfectly inside of. Although you can use any type of tape, I suggest using painter's tape because it allows you to attach the roller coasters to most surfaces without damaging them. This way you can work across the wall, floor, tables and chairs. It also peels nicely off of the foam insulation, so you can re-use the pieces. 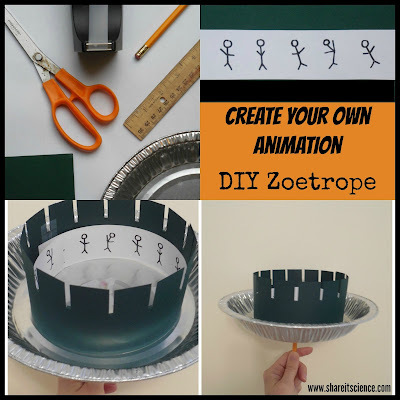 Start out by encouraging kids to build a simple design while they get the hang of how the marble will behave in the roller coaster. 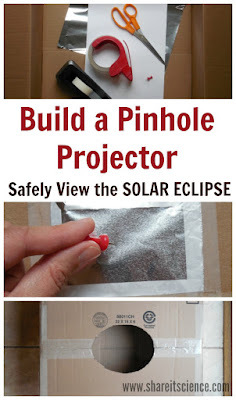 Expect to use a lot of tape during the design process! Once they've experimented through trial and error, add some more complex elements to the coaster. 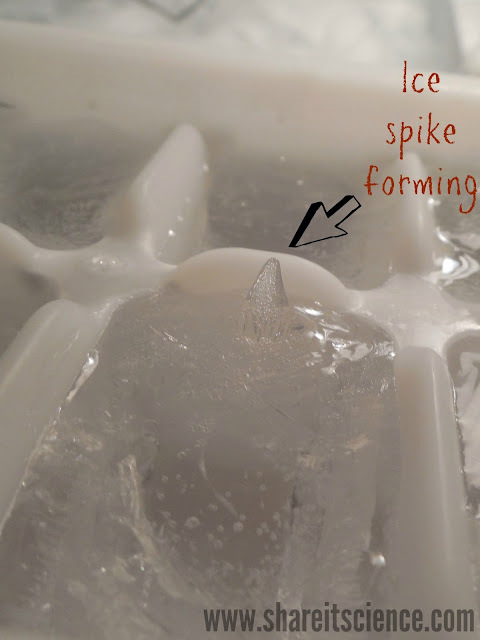 Challenge them to include hills, a loop-the-loop, a spiral or some other spine-tingling roller coaster element. 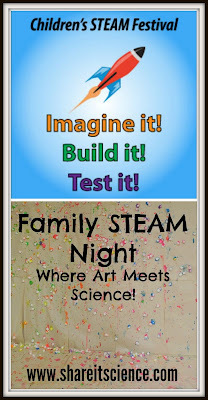 If you want to continue exploring the idea of roller coasters, you can also build them with recycled materials like we did here for our Family STEAM Night event. 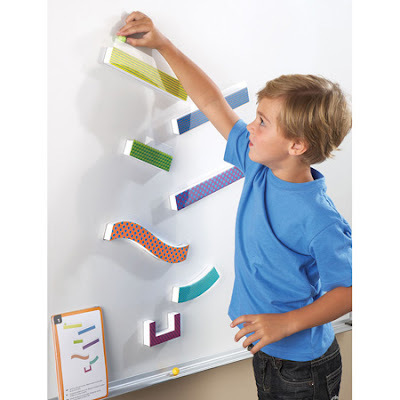 You also will want to check out this really neat set of marble tracks for home or the classroom. I love how it lends itself to open-ended exploration, it won a toy of the year award in 2016 and is reasonably priced. Learning through FUN is the best! It would be super fun to have this on the refrigerator, wouldn't it? STEM and a snack! The weight of an object is equivalent to how much the force of gravity is pulling the object towards the Earth. The strength of this force changes with mass and distance. The larger an object is, the greater the force of gravity. This is why the force of gravity from the Sun, which is enormous compared to the planets, can hold all the planets in orbit. 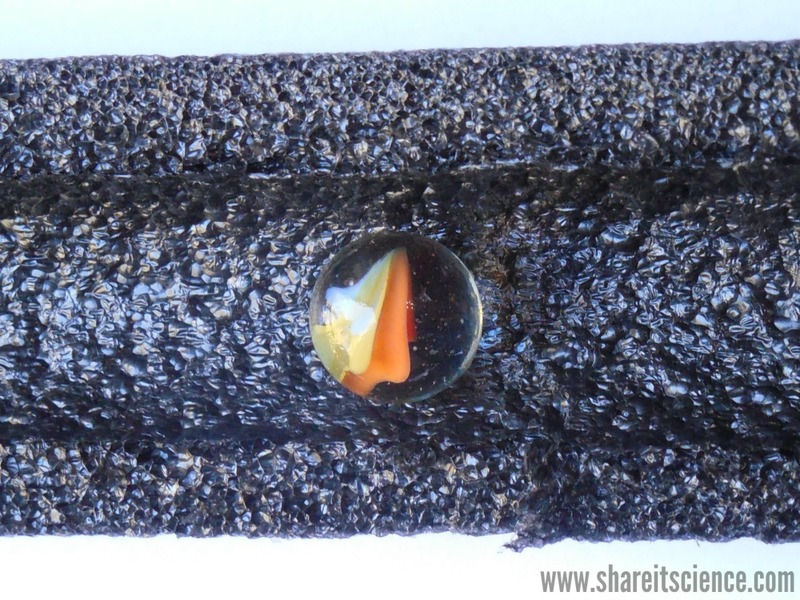 Gravity is also stronger when the distance between the objects is smaller. 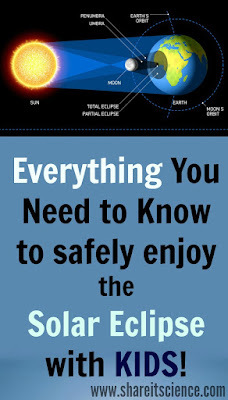 This is why the planets are not pulled away from our Sun, toward another, further away massive star. This relationship is also what would make us weigh different amounts on different planets. 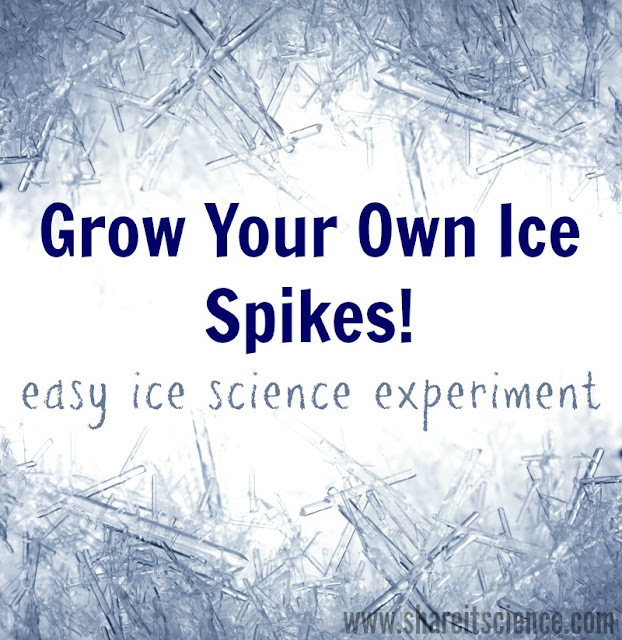 You've probably had some experience with this concept at a science museum or planetarium. You can calculate the weight of an object, or yourself, on a different planet. The closer the planet is in size to Earth, the closer your weight will be to your weight on Earth. 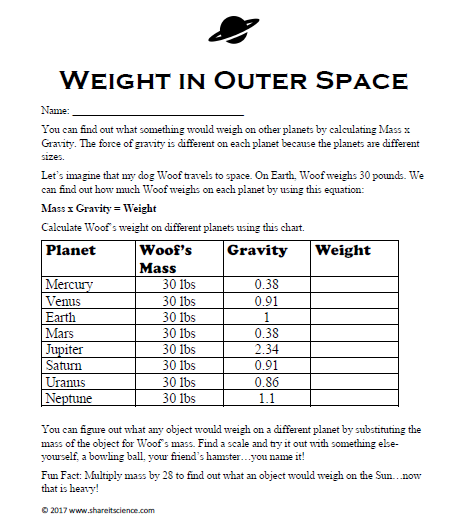 Use this free "Weight in Outer Space" printable worksheet to explore this concept with kids. It requires multiplication, so is best for upper elementary and above. Please note that I have chosen to use the weight of a pet dog rather than the student in this sheet. You certainly can also have students substitute in their own weight. I found in a middle school classroom setting some students were sensitive about their own weight, so this easily alleviated the issue. 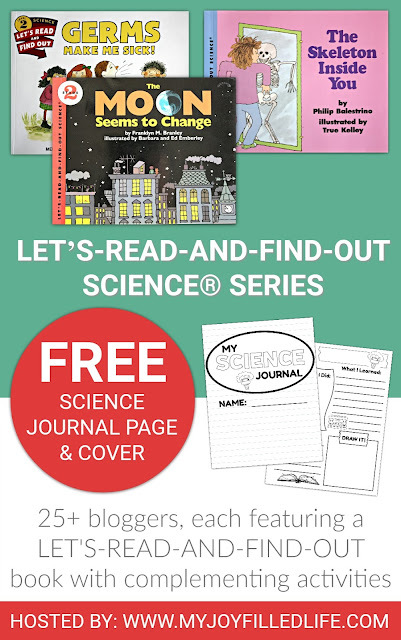 You won't want to miss the rest of the posts in the Let's-Read-And-Find-Out Science® series. Each includes a book and activities that complement the science concept. You'll find the entire series here.